Do you think that Langkawi consists of only pretty beaches and clear waters? You are wrong! Of course, there are no concrete sidewalks, huge megamalls or stormy city life, but 18-miles-long Langkawi Island offers so much unique sights. 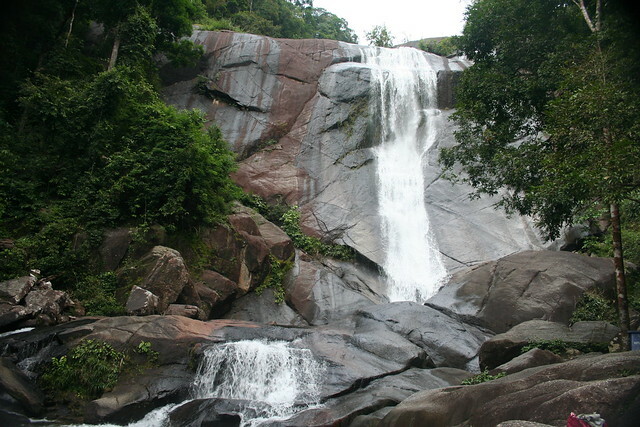 Seven Wells Waterfall got its name due to seven small wells that were created in the rock by falling water stream. This stream drains from the second highest mountain of the island to the wells, and then rushes down from a thirty-meter height. This is an incredibly beautiful spot, which must be seen with your own eyes and captured on the camera. In addition, you can swim in the wells. The water is very refreshing there, and will be a real salvation from the heat after a long climb upward. In order to reach the waterfall, you’ll have to overcome a well-equipped staircase consisting of 638 steps and originating from the parking. Approximately, you’ll need 20-40 minutes to get to it. The area is equipped with gazebos, a toilet, as well as changing rooms. Be careful with your belongings, because they can be stolen by the monkeys living there. 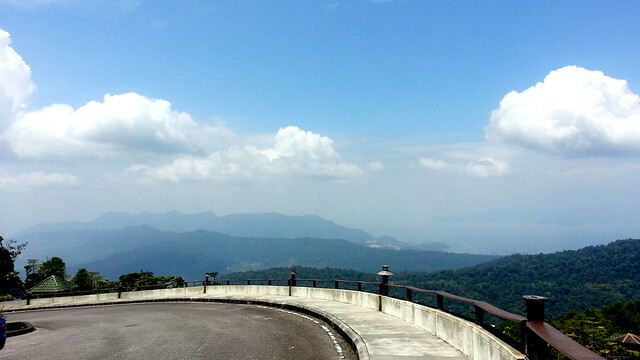 With the height of 881 meters, Gunung Raya Montain is the highest peak on Langkawi. At the top of the mountain there’s is a tower with a viewing platform which opens beautiful landscapes of the island, especially in clear weather. However, the spectacular views open even without climbing to the platform. Also, there is a small cafe and a three-star hotel, where you can stay for the night if you want. In fact, the most interesting thing in the mountain is not a spectacular view from the top, but its flora and fauna. On the slopes of Gunung Raya Mountain there’s Lubok Semilang national park, which offers a wonderful trekking route with the length of 3.1 kilometers passing through the jungle. If you decide to go through it, then you will have a chance to see more than 400 species of tropical plants, 230 species of exotic birds, insects, monkeys and other animals. There is a waterfall at the beginning of the path. To see as much as it’s possible, you should start early in the morning. 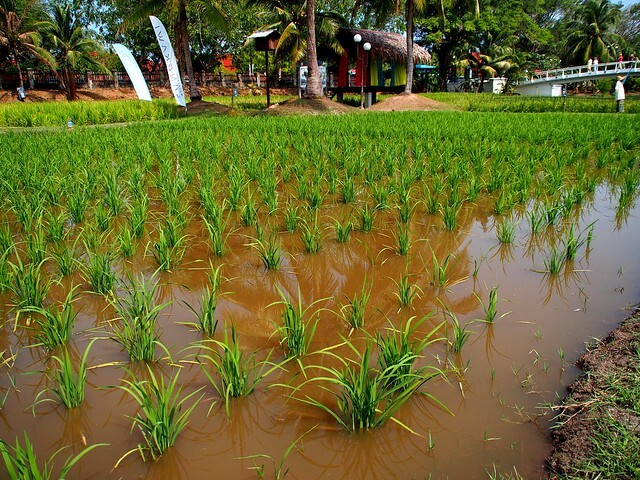 Laman Padi Rice Garden was created to attract tourists to eco-tourism. In addition to different varieties of rice, the museum’s exhibits include numerous photographs and illustrations, as well as tools and mechanisms. The total area occupied by the museum and rice fields is about 5.5 hectares. In the fields, different stages of growing rice are demonstrated. There is also a souvenir shop, an herb garden and an exposition devoted to growing rice. In the restaurant located on the territory you can try all kinds of dishes made of rice. You will be very surprised by the great variety of dishes. You can visit this place completely free of charge, but it’s not very interesting without sightseeing. A walk in the rice fields will take you about 20-30 minutes. Pulau Payar Marine Park is an array of jade-green islands surrounded by a variety of marine life and vegetation. This is the only place on the western coast of Langkawi, featuring exotic coral reefs and marine life similar to the Indian Ocean. 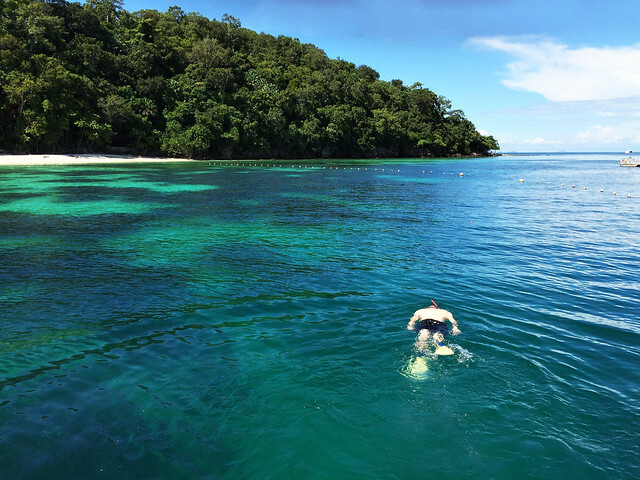 Stretching for almost two miles, the archipelago of the park includes four islands: Pulau Lembu, Pulau Segantang, Pulau Kaca and the largest one Pulau Payar. All of them are uninhabited and strictly protected by the Kedah Fisheries Department, which tries to preserve the ecosystem of the underwater world. One of the outstanding features of the marine park is its famous Coral Garden. It’s an isolated area full of colorful reefs protected from storms and other external encroachments. In the crevices of huge boulders covered with soft corals you’ll find a lot of marine inhabitants: swallow fish, fusilier fish, lionfish, as well as flocks of jackfish. This is one of the best places for snorkeling, diving, and exploring rich underwater world of Langkawi. The peculiarity of Dayang Bunting is that it’s a freshwater lake, despite its proximity to the ocean shore. In the place where tourists are brought you’ll find a pontoon embankment and a walking path along the coast. If you follow the path, you can go to the point called “Miracle Border”, where the boundary between the salty ocean and the freshwater lake is only 30 meters. Also, the lake water is full of small fish, which is used in the procedures of exotic fish massage. You can put your feet in the water and enjoy a fish massage in natural conditions, and completely for free. But the most important thing in the lake is its miraculous properties. According to the local ancient legend, the local people sincerely believe that taking a drink from the lake or bathing in it helps even barren women to get pregnant. 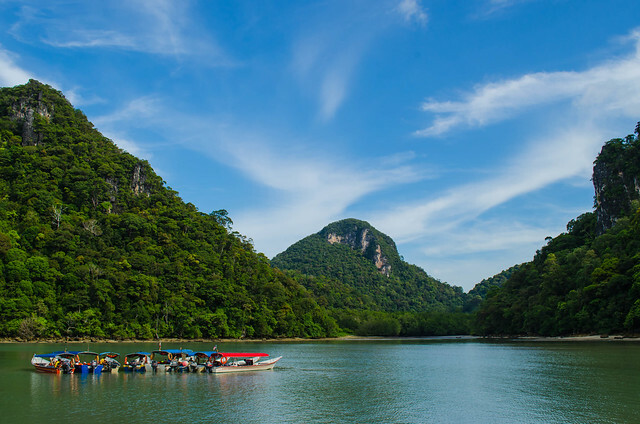 The natural sights of Langkawi are scattered all over its territory and, basically, are situated far from each other and from tourist zones. So, you will have to rent a car on Langkawi in order to visit them. By the way, it’s also possible to join group tours, which are organized in tourist areas by local travel agencies.